Saanika has research and development experience in the medical device sector, working with Philips Healthcare in their X-Ray imaging systems division and with CJPS Medical Systems, Detroit with remote patient monitoring systems. She has an undergraduate degree in Mechanical Engineering from Pune University and a graduate degree in Biomedical Engineering from Northwestern University. 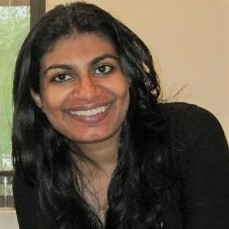 Saanika has co-founded two startups in the digital health space and is currently an MBA student at the Johns Hopkins Carey School of Business interested in the space of life science and medical device technology commercialization.